I’m a day late and a dollar short in posting this… ok, I’m 3 days late. Whatever. Thankfully Nick understands the level of crazy that’s gone on in this house over the last couple of days! Sunday afternoon I let each of the kids sit down at the computer and type out (or say, in Lily’s case) their thoughts on Nick. He is clearly adored and loved here, and for so many good reasons! Happy late Father’s Day, Nick! You are an amazing, patient, loving, kind man to these kids, and the adults they will grow into will surely be amazing, thanks largely to you! Lily (as told to Mommy): Daddy plays with me. (What else?) That’s the only thing I love. (Why is that all you love?) I love that Daddy does silly voices. Sometimes he plays tic-tac-toe with me! I make up games with him, and he plays them. Hmm, ummm, cause I give him cozy hugs. Sometimes he snuggles in bed with me, during songs and prayers. And he makes the right Mickey Mouse voices! And I love Daddy making Donald’s voice. We play hide-and-seek! We play tag with him. Sometimes I can help Daddy with his work! He kind of does make Minnie Mouse’s voice for me. Oh yes! 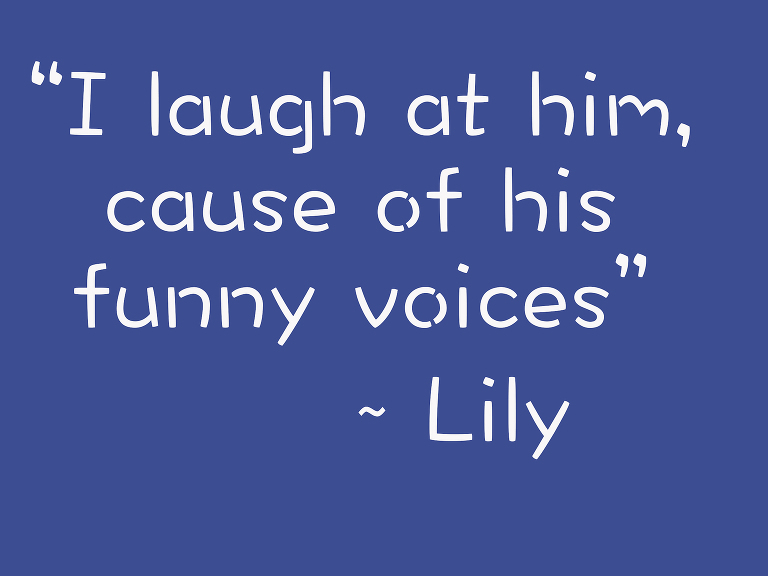 I laugh at him, cause of his funny voices! Chase: That he works for a church. That he is awesome fun. Dad makes me laugh. That he takes us out to eat. 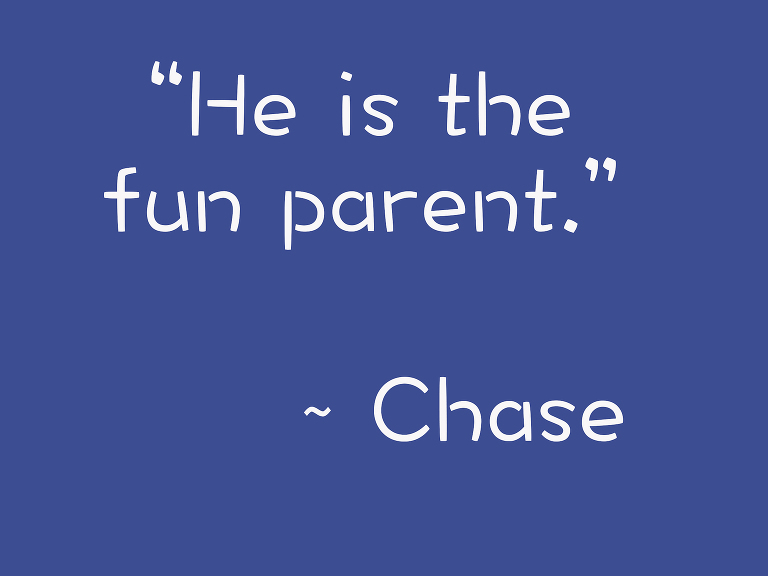 He is the fun parent. He lets us do Iron Chef Grandview! He does goodnight I love you. Sleep well. See you in the morning with us. And of corse, I love him. Jackson: when you say dad these are the words I think of. nice. strong. 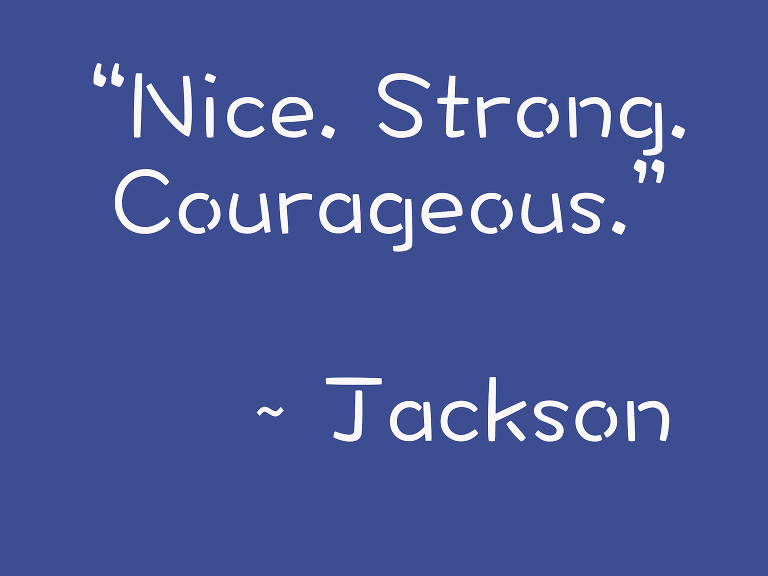 courageous. Ty: That he works at church of the resurrection. That he is an awesome dad. 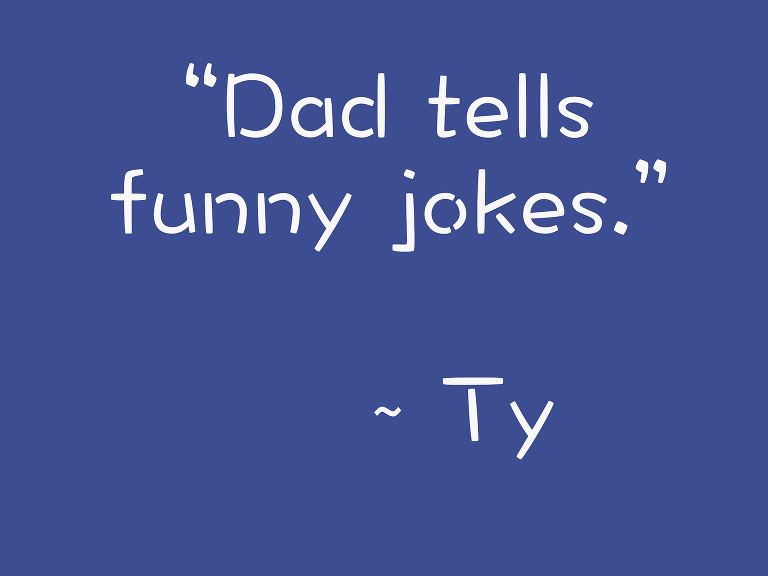 Dad tells funny jokes. He takes us to fun parks. I really really really love dad!